By Michael Whiting www.afl.com.au Former Collingwood premiership player Craig Starcevich will coach the Brisbane Lions in next year’s AFL national women’s league. The appointment comes after the club was granted one of the inaugural licences for the 2017 season. Starcevich brings with him an impressive football resumé, which includes his stint as high performance manager for the Lions during their triple–premiership era. The Lions’ women’s CEO Breeanna Brock said Starcevich was not only a great teaching coach, but also highly experienced under pressure. Most recently, Starcevich coached the Western Bulldogs’ women’s side during the exhibition games this year. 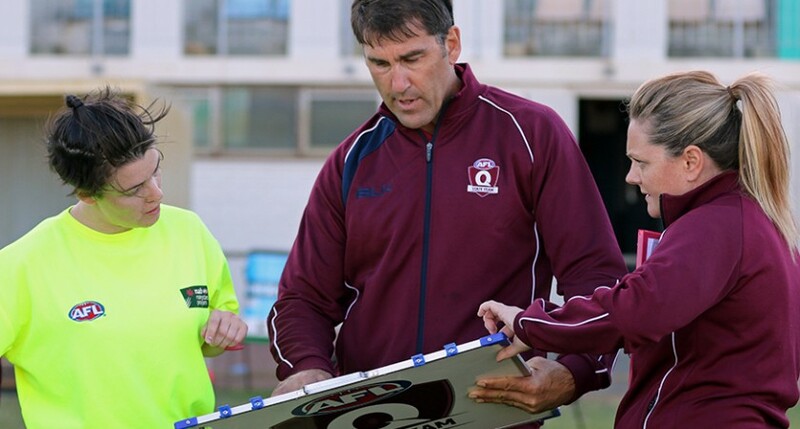 In his role as the current female football high performance coach at AFL Queensland, Starcevich has already formed great relationships with the players who will make up a majority of the team, including the club’s marquee player Tayla Harris. “He’s got a really good idea of our local talent already … and with that good insight into the talent around the country, he can compare what the best of the best are like against our local kids,” said Brock.